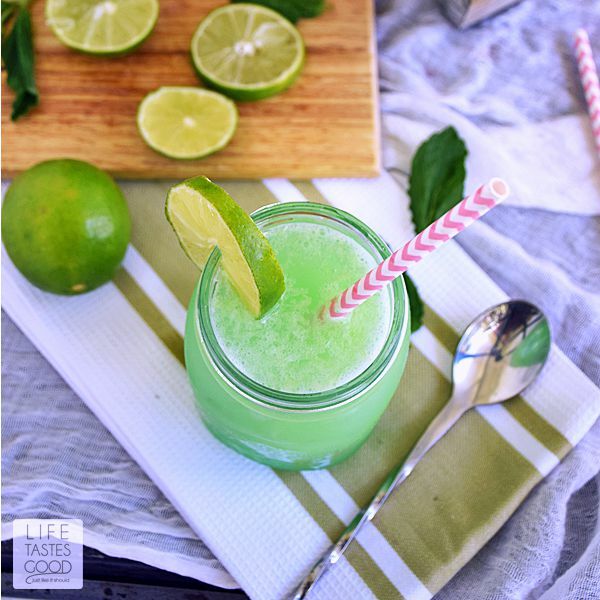 This Mojito Slush recipe is a mix of frozen limeade, grapefruit soda, fresh mint, and rum. The combination of sweet refreshing citrus and mint flavors with a little kick of rum makes a popular summer cocktail. Perfect for a pool party! Today the #SundaySupper Tastemakers are sharing our favorite pool party food and drink recipes! Be sure to scroll down past my recipe where you'll find links to all of the pool party inspired recipes. A big thank you goes out to the Sunday Supper Movement for making this event possible. My first Mojito was in Miami last year at a conference. It was love at first sip as I savored the perfect balance of sweet and zesty with a refreshing touch of mint. I had never tasted anything quite like it before, and my taste buds were doing a happy dance! 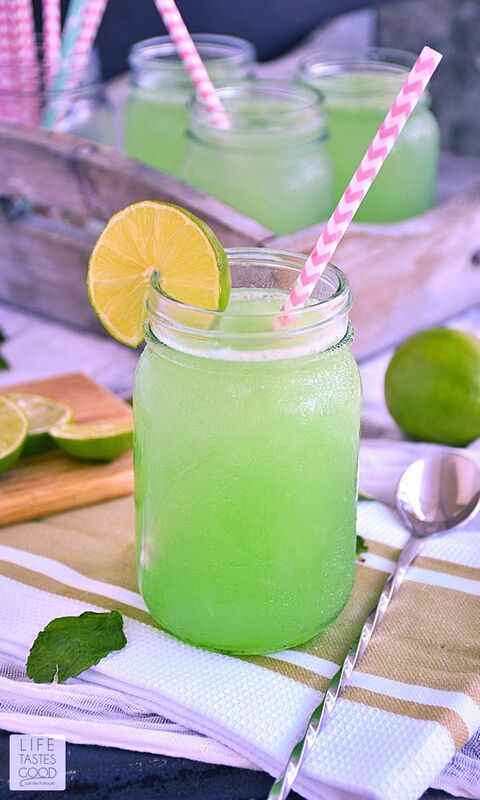 What a deliciously refreshing way to cool off during the hot Florida summer! 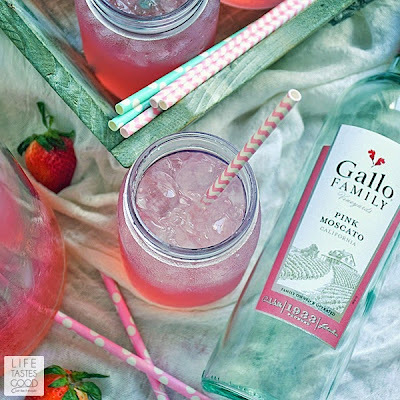 This version of the quintessential summer cocktail adds a frozen flair which makes it even more refreshing. I didn't think that was possible, but there is just something about an uncommonly cold drink on an exceptionally hot summer day that quenches your thirst and cools you off instantly! Just don't gulp it down too quickly! Nobody likes a brain freeze!! and then pour in enough grapefruit soda to fill each glass. Garnish with a lime wedge and some fresh mint. Pop in a straw, stretch out on a chaise by the pool and enjoy! In a small bowl or measuring cup, dissolve the entire box of gelatin with 2 tablespoons of sugar in 1 cup boiling water. Add 1 cup fresh mint leaves, and steep, covered, for 20 minutes. Pour liquid through a sieve into a 2 1/2 quart freezer container. I used a metal mixing bowl to make it easy to scoop out the frozen limeade when ready to serve. Discard mint leaves. 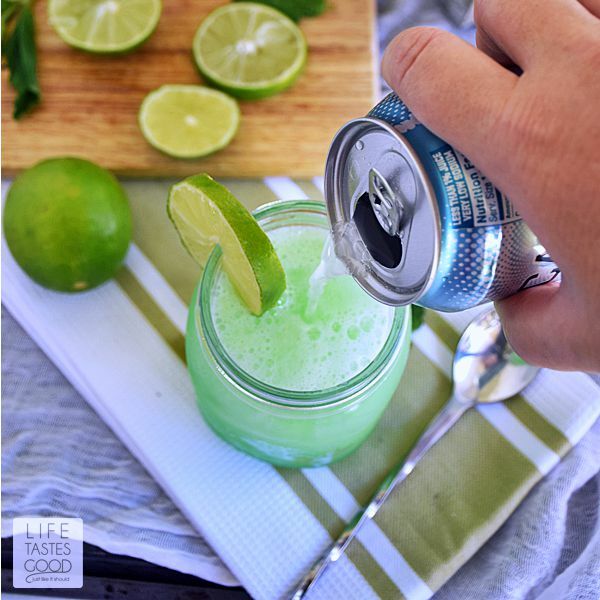 Stir in the 2 cans of limeade concentrate, 2 cups of cold water, 1 cup of grapefruit soda and 1 cup of white rum. Cover and freeze overnight or until set. 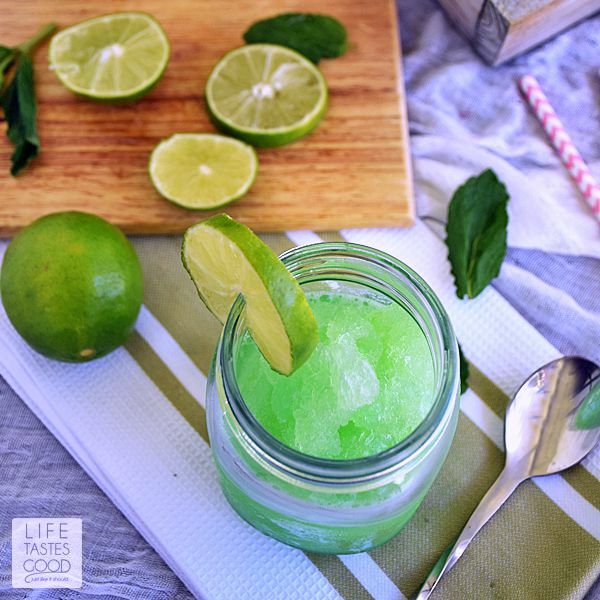 When ready to serve, scoop about 1 cup of the limeade slush mixture into a serving glass. Pour in enough chilled grapefruit soda (about 1 cup) to fill the glass. Garnish with fresh mint and lime wedges. Enjoy! This recipe is only intended for adults of legal drinking age. Remember to drink responsibly. Ohhhhhhh! A grown-up slushie. Love it. 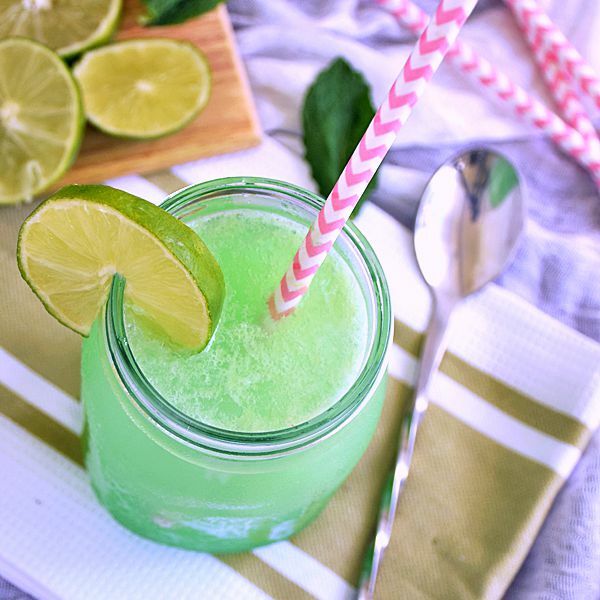 Nothing beats a slushie on a hot summer day, especially a spiked slushie. 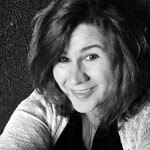 I love Renee's post! A grown up slushie! Sounds refreshing! This is bringing me back to my youth and heading to 7 11 for Slurpees. But I know this would be sooooo much better! Perfect pool sipping cockail! Love the slushie twist---marvelous on a hot day! with or without a pool it's summertime goodness! I may never leave the pool with this drink! Mojitos are a favorite of mine...love that yours are slushie! We always use Fresca too! MARION!!!! This looks AMAZING!!!!!! Mojitos always remind me of my first date with my husband- that was the first time I'd ever tried one and they've held a special place in my heart ever since. It's so hot here this week, these would be perfect- I can't wait to try these!!! I have a big ol' planter for of Mojito Mint, so you KNOW these will be happening at my house!